Teaching is a difficult profession. There’s no denying it. 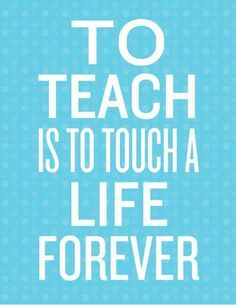 But there’s something about teaching that most people don’t realize. While the United States has had an obsession over our failing schools and our poorly performing students, they have failed to realize the truth: Education has been used as a political tool for the past decade and the results have made things no better off than where they were when we started. Sure, it sounds great to say “We won’t leave a single child behind!” Every teacher in the world would love to make that guarantee, but the fact of the matter is that teachers have so little control over the things that really matter in a child’s life. That’s where we get to the heart of this article: What Teachers REALLY Want! Teachers want to be respected. I see news snippets and articles all the time about how bad a particular teacher is or how poorly a particular school did on a statewide assessment. Districts are closed, reorganized, staff fired, students moved, and to what end? Politicians want you to believe that it’s teachers who are failing our students, our schools are underperforming, principals and administrators aren’t doing enough to ensure our children’s success. The problem with all of this is that none of it is true. Schools are doing more than ever. Teachers are doing more than humanly possible. Principals and administrators are throwing every thing they have to raise test scores. The result: Teachers are made to feel ineffectual, not respect for their professional expertise, and in some cases downright unwanted. When time is taken away from genuine classroom teaching in favor of computer programs or other district initiatives that teachers know are going to do little to help a student, it has a negative impact on the person that matters the most. The teacher. Let’s face it. Study after study shows that the best learning occurs when there is a teacher guiding the instruction. No amount of software or curriculum is going to help a child succeed without a teacher there to push them along. Teacher don’t want more money (yes, it would be nice, but it’s not what we want). Teachers want to be respected for the time they’ve put into their degree, into their classrooms, into their children. While it’s certainly true not every teacher is a great teacher, most put their heart and soul into their work not because they want a good paycheck or because they want to advance their career. They’re there for one reason. Kids. They want to be there. So why on Earth would you want to make teachers feel unappreciated and not respected? More good teachers have left in the last few years that I have been teaching simply because they are burned out and tired of being treated like an hourly employee. More and more teachers are being told what to do in their classroom, then being blamed when their students don’t do well on tests. Would you want to work in an environment like that?